Wellington Burt was a wealthy lumber merchant from Michigan, USA. By all accounts, he was both brilliant and eccentric. When he died in 1919, he left a multimillion estate. However, in his Will, he gave his children an annual allowance of $1,000, the same amount he gave to his cook. 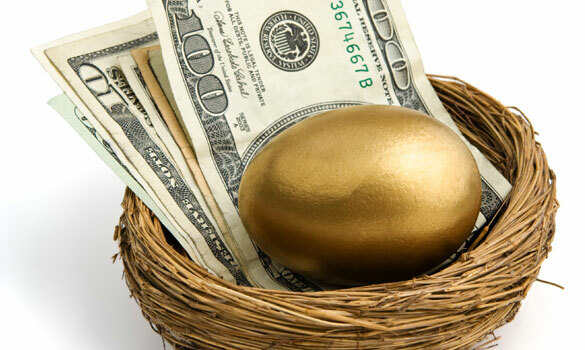 Instead, Burt stipulated in his Will that his wealth which he called his “golden egg” would pass to his descendants 21 years after the death of his last surviving grandchild. The last grandchild died in 1989 and the 21-year countdown ended in 2010. The “golden egg” estimated at $100m was then distributed to 12 beneficiaries; none of them knew the deceased. Some say Burt devised this unusual gift as a result of family conflict. Burt’s 6 children, 7 grandchildren, 6 great-grandchildren and 11 great-great grandchildren did not receive a cent. They died before the “golden egg” could be distributed or were deemed ineligible. Fortunately, for most executors, they will not have to deal with a complex deceased estate that incubates for 92 years before distribution as in the case of Wellington Burt’s Will. By and large, most Wills are straightforward with no conflict among the deceased’s relatives over the Will. Nonetheless, it is important that the grant of probate is obtained expeditiously and the estate managed properly for distribution to the beneficiaries. This is especially important for beneficiaries who need to access funds of the estate for their daily needs. My father has died with a Will. I am named as his executor. How do I go about applying for probate? My late mother has left behind a small estate. All she has is a bank account with $10,000. As the executor, can I access these funds for distribution without applying for probate? A person may pass away with a Will or without a Will. When a person dies with a Will, the “executor” is the person named in the Will to administer the estate. The executor applies to the Supreme Court of Western Australia for a “grant of probate”. When the grant of probate is issued, the assets of the deceased are vested in the executor. It is evidence of the executor’s authority to deal with the estate. To protect the deceased estate from improper dealing, many entities such as banks, share registries and the land registry require sight of the grant of probate to release or transfer the deceased’s assets to the executor for distribution to the beneficiaries. When the deceased leaves a Will that does not name an executor or where the executor appointed under the Will is unable or unwilling to apply for a grant of probate, an application must be made to the Court by an appropriate person such as a beneficiary under the Will for Letters of Administration with the Will Annexed. This will give the administrator appointed by the Court to deal with the estate of the deceased. The first step is to secure the Will. It should be kept in a safe place and the Will should not be meddled in any way. Do not write or make notes on the Will and a stapled or bound Will should not be taken apart. However, do not assume that the Will found is the latest Will. A later Will usually supersedes the earlier Will. Hence, make enquiries with family members and with the deceased’s lawyers or accountants to find out if a later Will exists. Go through the deceased’s personal effects, open any safe deposit box which the deceased may have held, check whether the deceased had lodged a Will with the WA Will Bank managed by the Public Trustee and enquire whether the deceased’s bank is holding important documents for the deceased. When carrying out the searches, bear in mind that that any document although unsigned or not witnessed but which sets out the intention of the deceased relating to the distribution of assets upon death may be recognised by the Court as an informal Will. When so recognised, the assets of the deceased will be distributed in accordance with the informal Will. Obtain the original death certificate or a certified extract from the death registry. If all that the deceased left behind was real estate held jointly with another person as “joint tenants” recorded in the certificate of title, the interest of the deceased Will pass on to the surviving joint tenant without requiring probate to be issued. In this case, the interest of the deceased in the real estate falls outside the scope of the Will. Here, all that is required is an application to the land registry for the title of the property to be transferred to the surviving joint tenant. This will also be the case if the deceased held monies in a bank account with a joint account holder. If the deceased only left a small estate, say not more than $20,000.00 in bank accounts, the bank may not require the production of a grant of probate before releasing the monies to the executor for distribution to the beneficiaries. In this case, all that the bank may require is a certified copy of the death certificate and the Will and indemnities to be signed by the executor and/or beneficiaries agreeing to indemnify the bank for any loss it may suffer as a result of the bank releasing the funds without a grant of probate being issued. If a grant of probate is required, the next step would be to determine the proper jurisdiction for the application to be made. For example, the Supreme Court of Western Australia has jurisdiction to grant probate only if the deceased left behind assets located in the State of Western Australia. Hence, if the only asset left behind by the deceased is real estate located in another state or territory in Australia, then an application for a grant of probate should be lodged in that state or territory and not in Western Australia. If the Will appoints more than one executor, confirm that all executors are prepared to act as executors. If any executor is not prepared to do so, then that executor must execute a renunciation of his or her right to obtain probate for lodgement in the Court. The executor should check the cause of the death of the decease. If there is any question as to the mental capacity of the decease at the time the Will was made, it would be prudent for the executor to obtain a medical report confirming that the deceased had testamentary capacity at the time when the Will was executed. Was the deceased married at the time when the Will was executed? If not, did the decease marry after the Will was executed? If the deceased was married at the time the Will was executed, was the marriage ended by issuance of a divorce order after the Will was executed?A Will is revoked by law if the deceased had married or divorced after executing the Will unless the Will was made in contemplation of such marriage or divorce. The executor should find out the full names and addresses of the witnesses to the last Will as this information is also required in the application for the grant of probate to be filed in Court. The executor should then prepare the necessary Court documents, namely the Motion and the Affidavit in Support for lodgement in Court for the grant of probate. The original Will and a certified copy of the death certificate are also lodged with the Court at the same time when the Motion and Affidavit in Support are lodged. In the Affidavit in Support, the executor must set out a statement of the assets and liabilities of the deceased and their respective values. The Supreme Court of Western Australia’s website has detailed information and templates for the completion of the Motion and Affidavit of Support for a grant of probate, if you wish to make the application without engaging a lawyer. See this link to the Supreme Court Probate Online Application Forms. After lodgement of the application with the Court, the executor must respond to any requisitions or questions which the Court may have in relation to any aspect of the application. The application for a grant of probate can be a daunting task at a time of grief and particularly when there are issues relating to the contents of last Will, the mental capacity of the deceased at the time when the was executed or the assets and liabilities of the deceased estate. Before making an application for a grant of probate, it would be prudent to obtain legal advice and/or to retain a lawyer to assist in making the application for the grant of probate. There may also be times when after making the application, the executor may require legal advice and assistance to respond to the requisitions issued by the Court.